Members of the global dance music community from DJs and producers to industry professionals and fans have shown solidarity across social media in support for Palestine. More DJs, producers, labels and collectives that have shown solidarity for the Palestinian people include Discwoman, Four Tet, Laurel Halo, Truants, DJ Bus Replacement Service, Caribou, Pariah and Peder Mannerfelt. 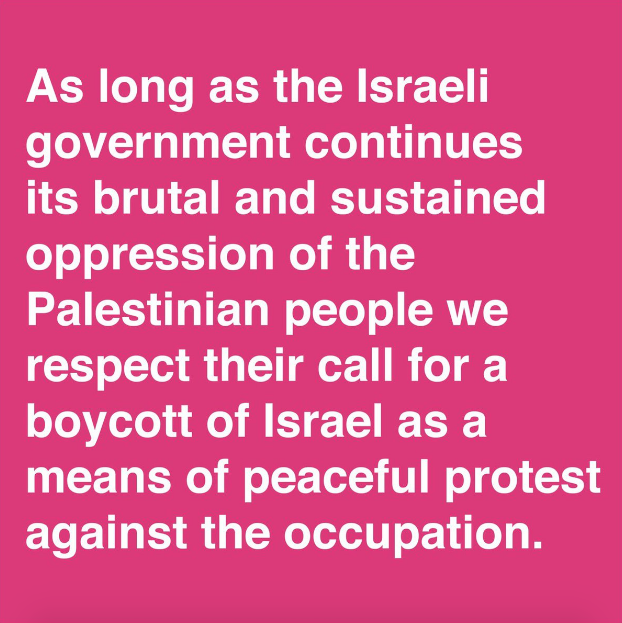 The campaign has been coordinated by the PACBI (Palestinian Campaign For The Cultural And Academic Boycott Of Israel) and is part of a movement to encourage action and involvement from electronic music figures in discussions surrounding BDS (Boycott, Divestment And Sanctions). BDS is a global campaign promoting various forms of boycott against Israel in the hope that international pressure can lead to the country meeting its “obligations under international law” including its leaving of the occupied territories of Gaza and the West Bank, the removal of the separation barrier, equality for Arab-Palestinian citizens of Israel, and promotion of the right of return of Palestinian refugees. In August, several DJs and performers removed themselves from the bill at Meteor festival in Israel which took place last week. DJs including Volvox, Shanti Celeste and DJ Seinfeld were among the names who pulled out of the line up. The artwork shared in support of #DJsForPalestine across social media can be seen below. Update: Room 4 Resistence have shared a new statement in response to the removal of their party from ://about blank’s bill this weekend. It reads: “It is possible to oppose a state without persecuting its citizens. Room 4 Resistance welcomes all citizens of the world to our events, as long as they respect our safer space policy. Israeli citizens are just as welcome as Palestinians, Syrians, Tunisians, Somalis, Turks, Lebanese, and all the other immigrants and refugees who are at constant risk of violence in Europe. Room 4 Resistance is here to bring politics back to the dancefloor, and we stand in solidarity with the Palestinians”. You can read the full statement here.